Via The Dreamcast Junkyard comes a cool bit of behind the scenes history on SEGA’s final home console. 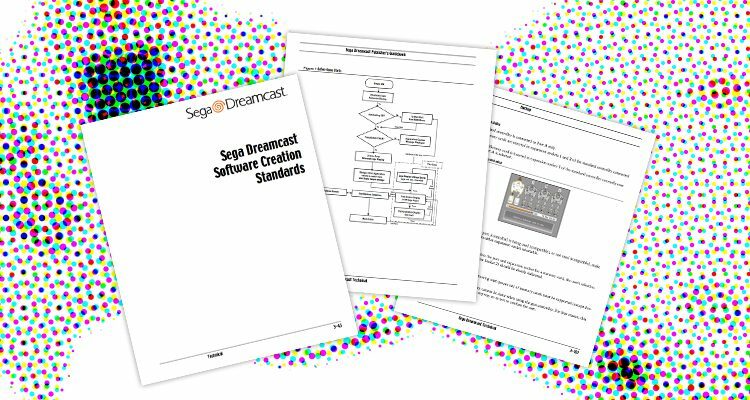 The Sega Dreamcast Software Creation Standards Guidebook was sent to the site by an anonymous former Dreamcast developer, and features 136 pages of standards set by SEGA for the development of software for the Dreamcast. While the document is a bit dry in how it presents information, there is some cool pieces of information contained within. For example, the document instructs developers how to hide the pause menu and which controller ports should allow the use of the keyboard. The rules contained within answer why so many different games from different teams have the same button combinations and features. For more information, check out The Dreamcast Junkyard’s article here and download the full PDF here. The latest trailer for Alien: Isolation gives us another look behind the scenes of the game. This time they show how they cast real people for the characters in the game along with the methods they used to capture their likenesses. Mo-cap is used for the animation as well. We’re also shown some new footage of the cutscenes along with some more info on the plot and world.